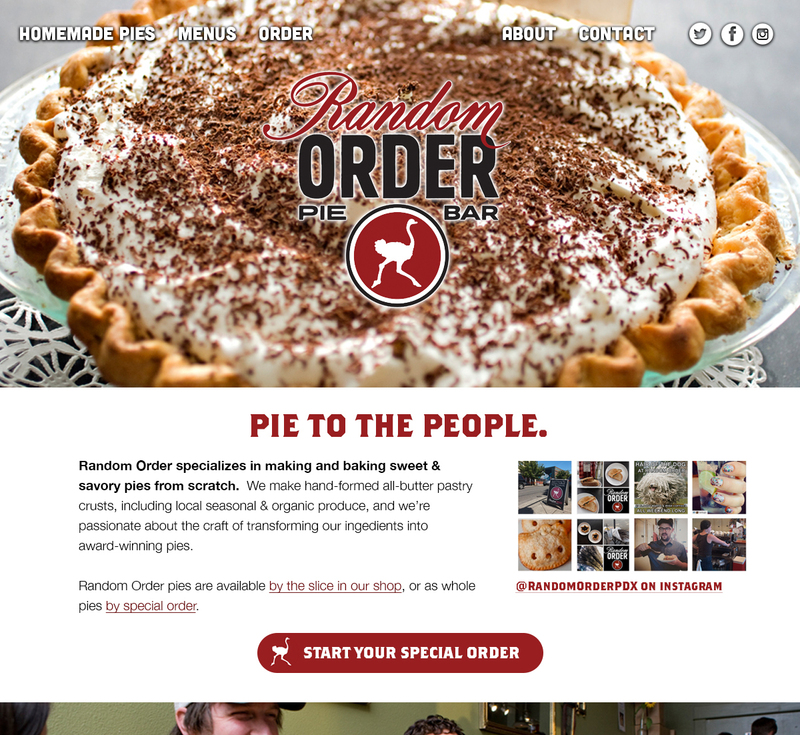 After being named one of "America's Best" bakeries by Travel + Leisure magazine, Random Order Pie Bar needed a website redesign. 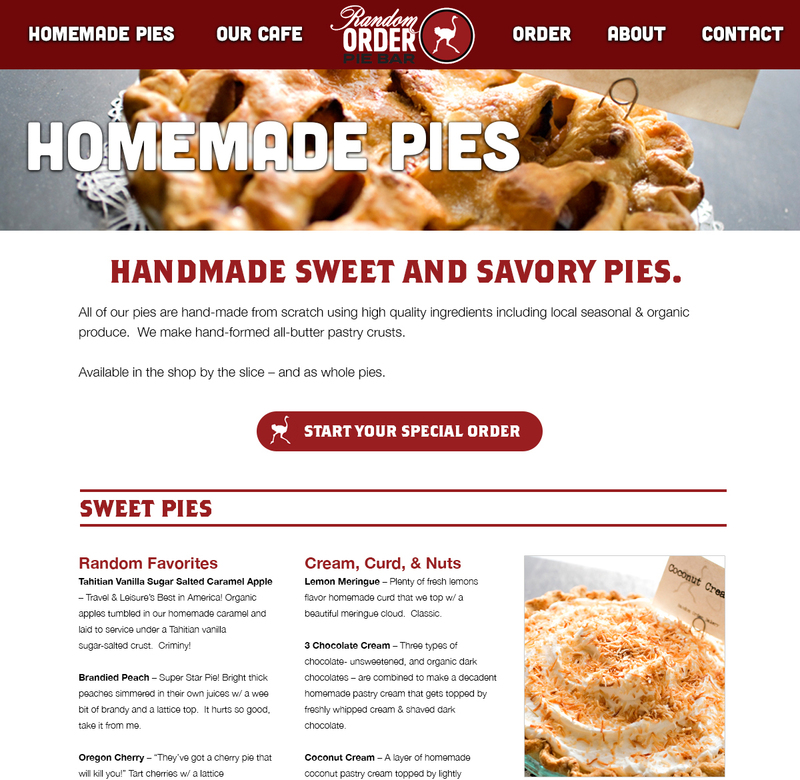 We designed a fun and dynamic site that incorporated their new branding, and showcases their famously scrumptious pies. The folks at Random Order had a wealth of imagery highlighting their handmade treats and hand-crafted beverages, so we made sure our new web design put them to good use, while also keeping the most important information organized and easy to take in. One of the biggest challenges for Random Order after their big magazine feature, was tourists being unable to find them easily on mobile devices. 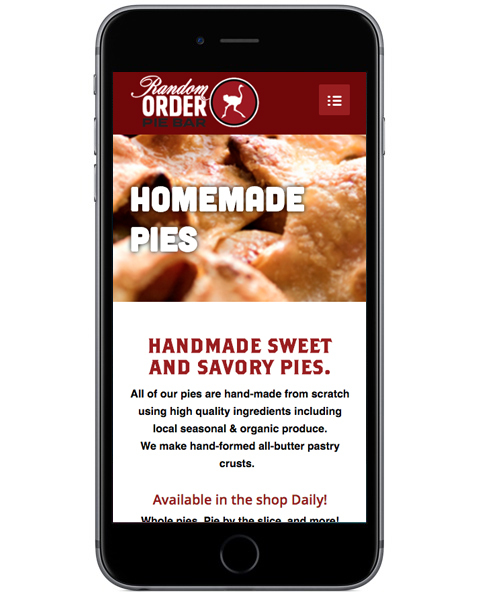 Our mobile-responsive website design makes it easy for both locals and visitors to place a special order or visit the shop for a slice, no matter where they are.